The origins of “Tamro” company date back to 1993, when it was registered under the name of SIA “ML&Tamda”, its business at the time was to supply medicines to pharmacies and hospitals. In 1997, it changed its name to “Tamro”, and in the same year, it joined the “Tamro Group”. In 1998, it started supplies to Latvian wholesale companies. In 2014, after several structural changes, it becomes a part of the “Tamro Baltics” structure. “A huge contribution of selfless labour during these 25 years enabled SIA “Tamro” to reach the tops which nobody dreamt about back in 1993. A professional team, strong business vision and mission awareness, which stands behind every decision, is our driving force which never allows us to stop at what has been achieved. 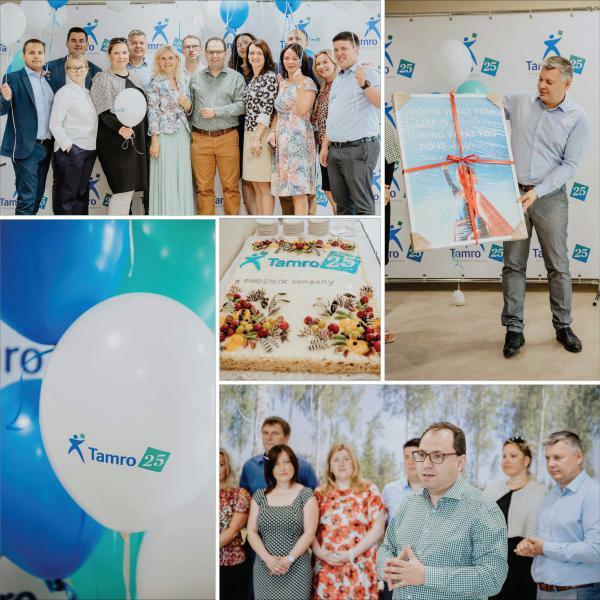 I congratulate everybody from our large “Tamro” family on the occasion of our 25th birthday and wish success and the ability for all of us to keep this commitment,” said Kestutis Dubinka, SIA “Tamro” wholesale director and Country manager in Latvia. Today the “Tamro Baltics” team consists of more than 1400 employees, and the company, together with “BENU Aptieka” and “Aptieka 1” brands, is the leading wholesaler of medicines in the Baltic region, as well as the leader of the retail sector in the Baltics. SIA “Tamro” is a part of “Tamro Baltics”, which, in turn, is a part of international Phoenix Group, which manages the distribution of medicines in 27 European countries and employs a staff of more than 34 000. “PHOENIX” group owns more than 2 200 pharmacies operating under “BENU”, “Apotek 1” and “Rowlands” brands in 13 European countries.